Hi pretty ladies, what’s up? How is the New Year so far? For me its been great. So, today we are going to discuss about the Touch In Sol Mini Magic Mascara Duo set which contains two beautiful mini mascaras. I’ll talk about them in details below but before let me tell you something. I’m sure all of you have this one or two ride or die products without which you will not leave the house. For me that miracle product is mascara. No matter what I won’t step out without applying mascara. I feel it really makes me look awake and active. Now, without further ado let’s get into the mini review of these mini mascaras. Packaging: The packaging is so cute and funky. I love the packaging. It’s a tilted rectangular box with silver stars and the name written on red and blue striped background on one side. On the second side it has a silvery striped background with the pictures of the two mascaras. There’s a black background with details written on it in silver and gold and the fourth side has a yellow background with the ingredients list in black. The packaging looks quite Christmassy. 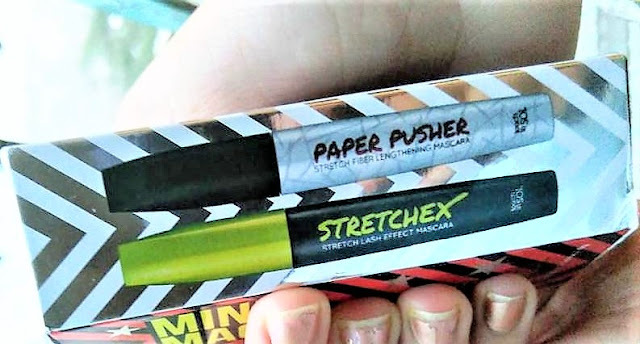 · Stretchex Stretch Lash Effect Mascara: Take lashes to the extreme with this unique super light, elastic formulation that creates buildable length that won’t weigh down lashes, and lasts all day. 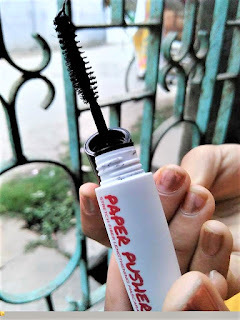 · Paper Pusher Stretch Fiber Lengthening Mascara: this innovative, stretch formula is now infused with patented lightweight paper fibers creates voluptuous lashes in one step. 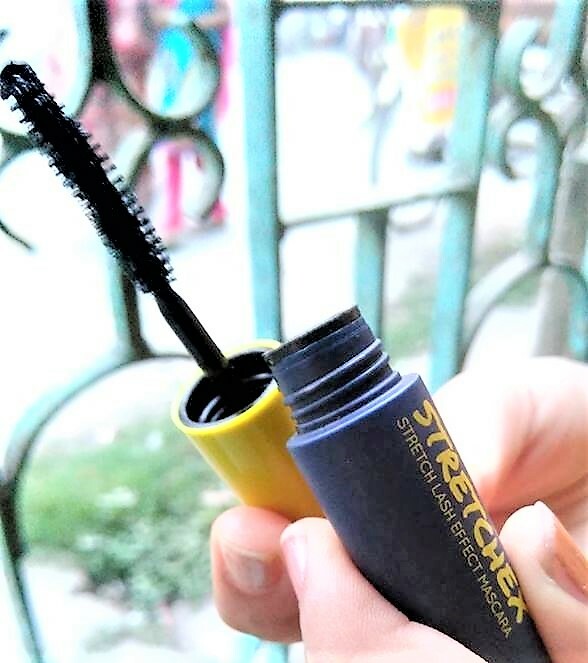 · Stretchex Stretch Lash Effect Mascara: It is a black tube with yellow cap and the wand is really convenient to work with. It is slightly curved which lengthens the lashes. · Paper Pusher Stretch Fiber Lengthening Mascara: It is a white tube with black cap. Again the wand is really appropriate and it isn’t curved. This one comes with fibers that add intensity to your lashes. My experience: Well, honestly this mascara is beyond my explanations. It work wonders on the lashes. You can call it the miraculous mini set. 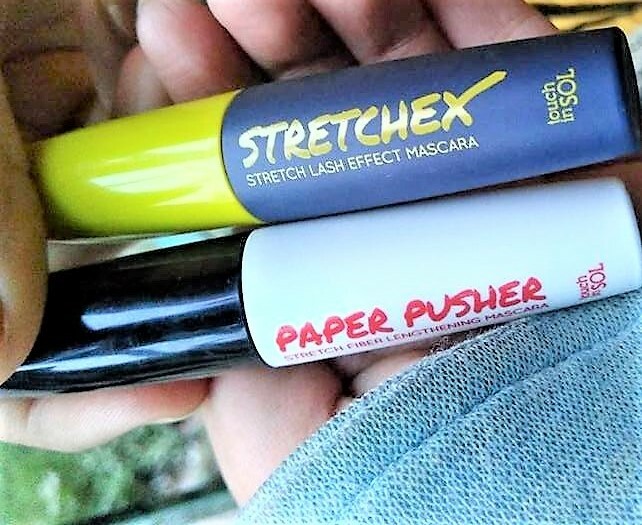 I usually use both on my lashes. 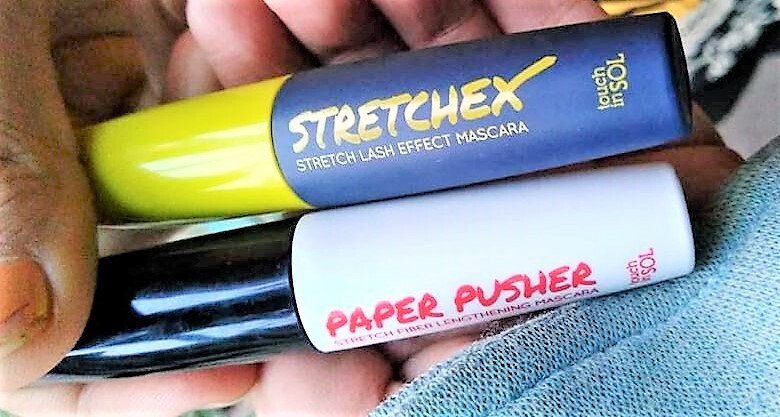 First I apply the Paper Pusher Stretch Fiber Lengthening Mascara and then layer it with Stretchex Stretch Lash Effect Mascara. I was hanging out with my cousin the other day and she suddenly asked me “Do you have falsies on?” and was like “No babes, it’s this mini magic set that makes my lashes so dramatic yet natural”. This lasts all day long and one coat of each of them is enough to get you throughout. You can even use them individually. Individually or not they are the best mascaras I have used till date and am totally in love with them. 5. Looks like I’m wearing falsies. 7. More bristles on the wand. 8. One coat is enough. 9. Can be used individually or together. Overall, I absolutely adore this Mini Magic Mascara Duo set. I would recommend this to everyone reading it. If any of your friend or relative is coming from The States or you are flying there I request you to get your hands on this please. It’s a game changer or order online.